The Chinese artists Xu Bing plays with words and characters. One example is a project called Square Word Calligraphy. 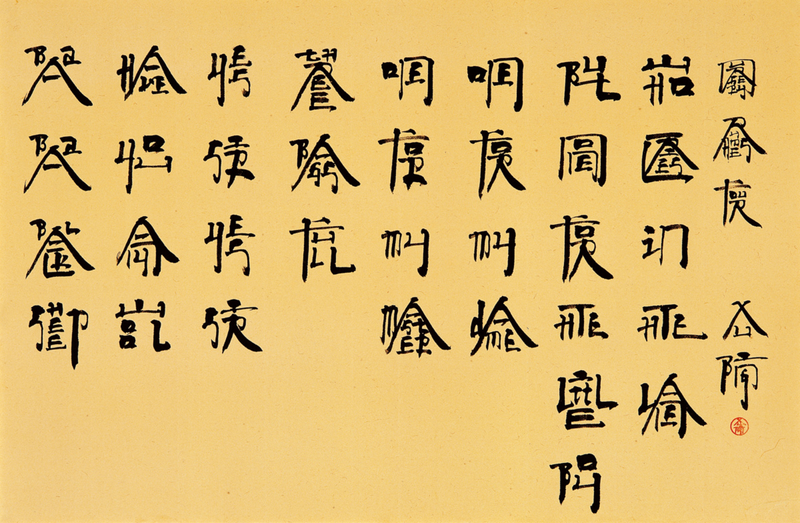 "Square Word Calligraphy is a new kind of writing, almost a code, designed by Xu Bing. At first glance it appears to be Chinese characters, but in fact it is a new way of rendering English. Chinese viewers expect to be able to read it but cannot. Western viewers, however, are surprised to find that they can read it. Delight erupts when meaning is unexpectedly revealed."